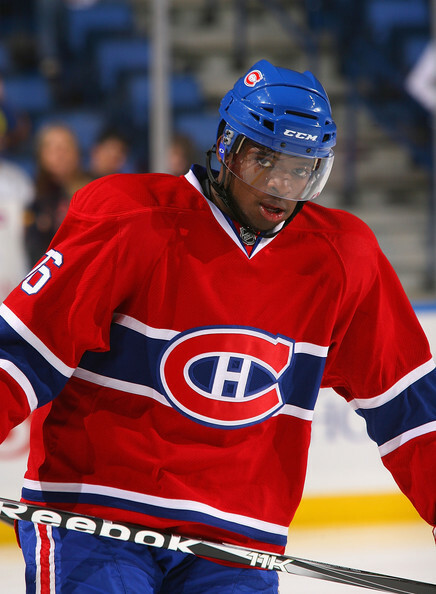 Fans of hockey are justified in hating Montreal Canadians defenseman PK Subban. PK Subban is brash and cocky, and celebrates his goals more than any player not named Alexander Ovechkin. PK Subban is dirty and cheap, hacks and slashes constantly, and throws more elbows than any player not named Brad Marchand. PK Subban takes constant liberties with opposing star players, but regardless of how dangerously and recklessly he hits his opponents, PK Subban never pays the piper and drops the mitts to fight. Yes, there are plenty of reasons to hate PK Subban, but the color of his skin is not one of them. To argue that Bruins fans should have known better than to tweet a picture of a noose “for Subban” in the immediate aftermath of the NBA’s banished Donald Sterling is entirely beside the point. The salvo of over 17,000 anti-Subban tweets and retweets rose in a crescendo to a point where the “n word” was trending locally in Boston. With so many people involved, it’s cowardly of Neely to employ semantics in a cheap attempt to distance Boston’s franchise from its racist supporters. Let’s be clear on that point: racist Boston Bruins fans posted racist pictures and racist tweets, and did so not because Subban had beaten their favorite hockey team, but because they are racists that saw nothing wrong in publicly displaying their racist attitudes to the entire world. What happened with Boston and their fans is embarrassing, but it’s also an indicator of just how far our society still has to go before racism is fully eradicated. Sad as it may be, but any number of NHL franchises could have been in the position of Cam Neely on Friday, forced into issuing an apology for the behavior of its fan base. What these Boston fans fail to realize is that they’re effectively arguing that a little racism is okay, and should be tolerated without retribution. Amazingly, these Bruins fans are suggesting that everyone become tolerant of the intolerant. The truth, of course, is the opposite: racism will always exist so long as people allow it to happen. If there are any positives that can be gleaned from this embarrassing debacle, it’s that other fan bases should serve warning and not repeat the mistakes of Boston. All fans need to hold their fellow supporters accountable, because the next Donald Sterling is always just around the corner. Demand better of your fellow man, and in particular to this blog, hold every Pittsburgh Penguins supporter accountable for his and her words and actions. If you see a friend or fellow fan posting something foul, ask him to take it down, and if he won’t, report him via whatever means exist. Asking a fan to delete an inappropriate message isn't an attempt to “cover his tracks,” but is rather an effort to remove statements that shouldn’t exist in the first place. Support the crest, support the game, and boo your opponents, but always do so with respect. Stay classy, hockey fans: the rest of the world is watching.